Fire safety is of peak importance to us at Commercial Openings. We don’t just offer our services to modify and label fire rated doors as a business venture – we want our customers, and their customers, to be safe. The way we see it, meeting fire regulations is just as much about keeping families safe as it is keeping the fire marshal happy. This is why we trust J.L. 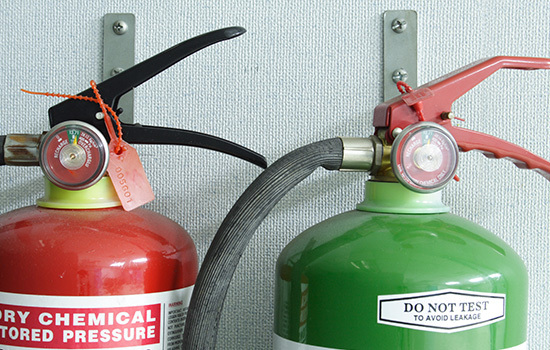 Industries’ fire extinguisher products. J.L. Industries has led the way in fire protection and products since 1947, and their products are even more trusted in 2016. Fire-FX Option Fire Rated Extinguisher Cabinets: Introduced in 1991, the Fire-Rated Extinguisher and Valve cabinets are for use in fire-rated walls. The Fire-FX Option is built to meet building code specifications for fire-rated wall situations. ADAC Option – Unique 4” Projecting Cabinet: The ADAC Option is J.L. Industries’ proactive response to the Americans with Disabilities Act, which mandates that cabinets cannot extend into corridor areas more than 4”. Flush cup pull handle allows for installation into walls as thin as 2 and 1/8” while still meeting A.C.A. regulation.